Our membership is truly an interdisciplinary group consisting of undergraduate and graduate students, researchers, consultants, professors, and registered professionals from various associations. The PRSSS is a grassroots professional organization that is always open to members’ ideas and suggestions. You probably won’t find a more affordable society of professionals to join unless it’s free! Members are the first to be notified of events and newsletters. 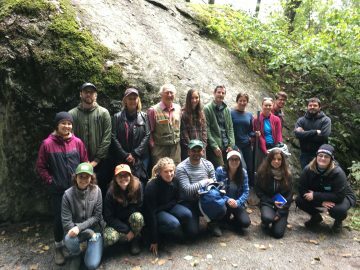 Join now and attend our Fall Field Trip as well as our Annual Spring Workshop, and get connected to the soil community of B.C. Annual membership terms last from April 1 to March 31, regardless of the date that you register. Membership registration will be open on January 1 of the respective year for the upcoming membership cycle and will close on December 31 of that year (please see example below in italics for clarification). The 2018/2019 membership cycle is from April 1, 2018 to March 31, 2019. The 2019/2020 membership registration cycle is from April 1, 2019 to March 31, 2020. The membership registration for 2019/2020 will be open from January 1, 2019 to December 31, 2020. That’s it! Thanks for joining the 2019/2020 PRSSS team! You should receive 2 confirmation emails (a GoogleForms confirmation and a PayPal receipt). Please feel free to let us know if you haven’t received them.